I never had any plans to go to Kenya. And, I certainly never had any plans to go to Marsabit. As I was headed to the airport for my return flight home in January 2011, my driver was surprised to hear I had just come from Marsabit. He told me Kenyans don’t even go to Marsabit. Marsabit is a hard place… a really hard place. It is a vast region spread over hundreds of square miles. It is home to a very nomadic population with many tribes and influences. The currency of local wealth is cattle and camels. Survival sometimes means consuming a mixture of camel blood and camel milk. Tribes fight over the animals, and people are sometimes killed due to their value. The first time I visited the region, many of the men from the village were not home. They were out seeking food and provision for their animals but primarily for water. We came upon a solar generated water well in the desert on my initial visit there. Camels and donkeys were drinking from the troughs reserved for humans. 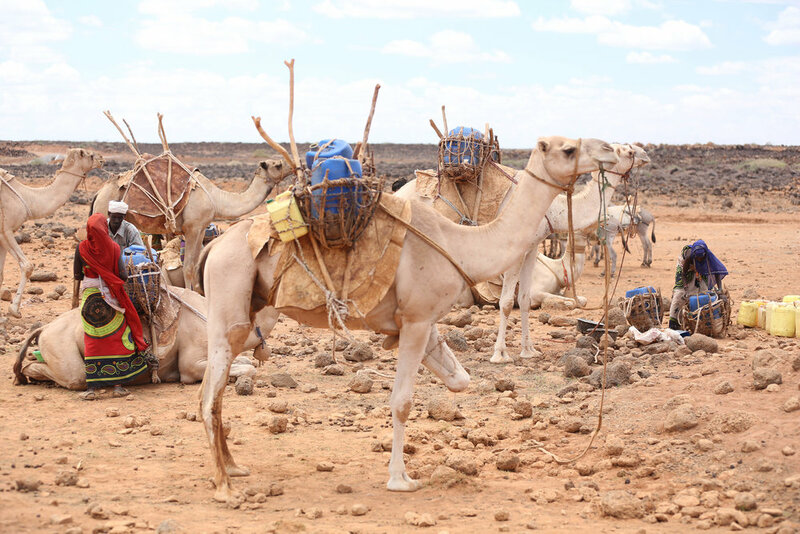 It was explained that they hold such value, the pastoralists chose to water the animals first even before collecting for their own consumption and that of their family. It’s against that backdrop and need for clean water for the region that Blood:Water began working with local organizations several years ago. Boreholes, rain catchment tanks at schools, Water, Sanitation & Hygiene (WASH) training, retention dams and a clinic are some of the outcomes from our partners there on the ground. The second time I visited Marsabit was in July 2012. The men were back in the village. The rains had come. The retention dam was nearly full. The pumps on the wells worked and the clinic was vibrant and seeing over 8,000 annual patients. Many had come to grips with their HIV diagnosis, were talking more openly about it and were on a regimen of medicine that had transformed their health. So, next week I will return again. What will I see? Have the water and sanitation projects continued to transform the desert? Do all water points work? Has there been rain? How many patients are being seen at Tumaini Clinic now? How is our friend Kabale? Is Clara still making headway in communities? Will the fighting over livestock have tapered off? Marsabit is a world away, literally. Strangely, I care for it. And, I care for the people that I have met there. I want good for them. I want water for them. I want health for them. I can’t wait to see them again and tell their story once again – the successes and the failures. Pray for safety and open hearts, minds and eyes for our team. Where is Marsabit in your life?